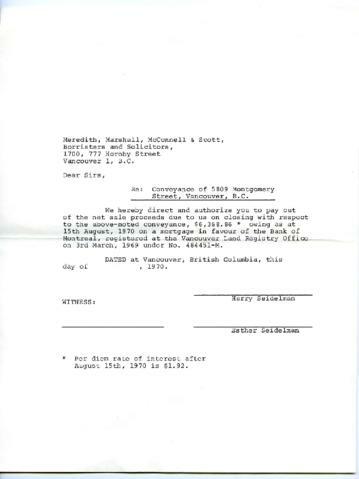 Form for Meredith, Marshall, McConnell & Scott, barristers and solicitors, regarding Harry and Esther Seidelman's house mortgage. Form is undated and not filled out. This form is one of two enclosures of another letter (see Part 1 of Item 1 in this file).